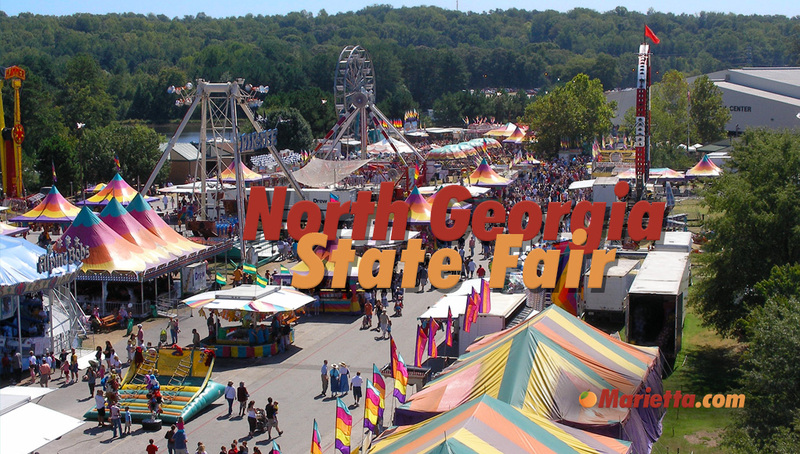 The 86th annual North Georgia State Fair is coming to town from September 20 through September 30, 2018. 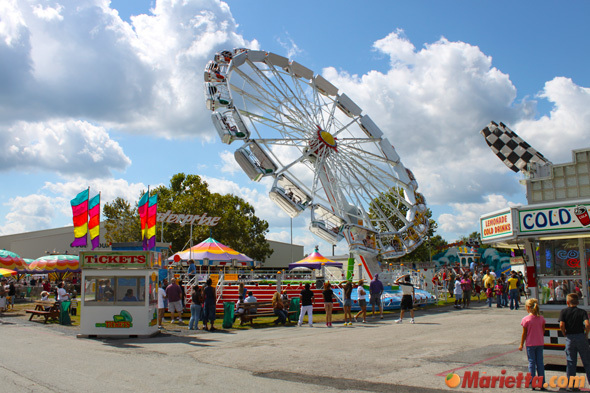 As the largest fair in metro Atlanta, it attracts an estimated 300,000 people every year from North Georgia and neighboring states. 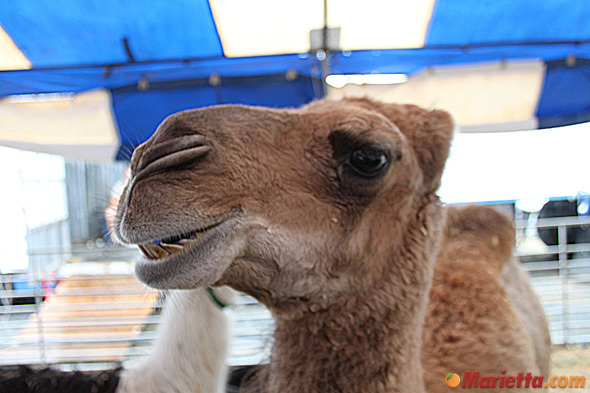 The fair features live music, free attractions and shows, blue ribbon competitions, flower shows, live farm and exotic animals, dancers and performers, fun food, and rides on the Great James H. Drew Exposition – one of the largest carnival midways in the U.S. The fair offers free concerts with big names hitting the stage. A covered arena guarantees concerts rain or shine. All concerts are free with fair admission. All shows are free with paid admission. 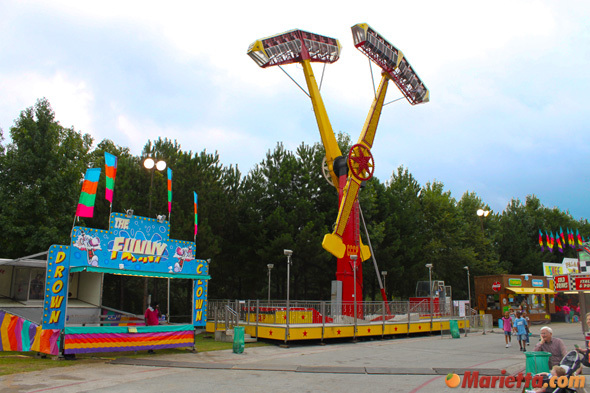 Ride tickets are $1.25 each (please note that all rides require 2 or more tickets a piece), $20.00 for 21 tickets, $50.00 for 55 tickets and $100 for 120 tickets. * Must be purchased between 11am and 3pm, good until close. 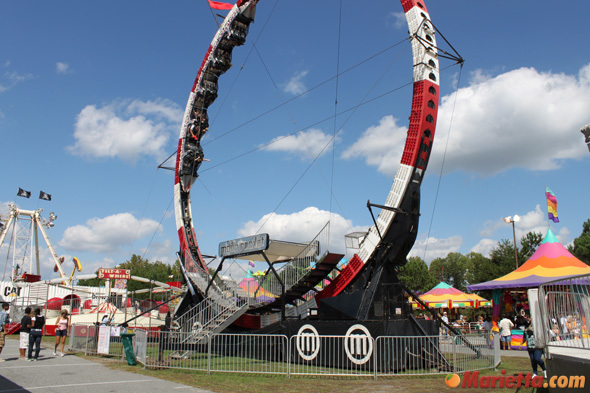 What time do you suggest getting to the fair in order to get a seat (good seat) at one of the concerts? It depends on the act and the day, but you could probably get a good seat most days by arriving at the concert area an hour early. do yall have just tickets or braclets to? Are there already seats, or do we need to bring our own chairs? at 8:30 i think that is the correct time! I have made a blanket and want to submit it at the fair and try for one of those great blue ribbons. Where do I need to go to submit the art work? 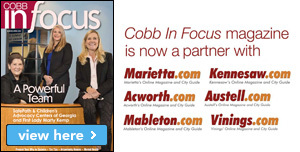 For more information, please call the event organizers at (770) 423-1330 or (770) 528-8989. Do you have bracetls too?? 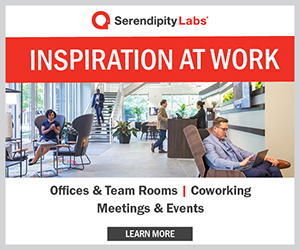 Would like to get information on working the vendor booths, have tried several emails, with no response. 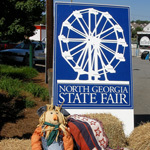 Vendor information is available online at http://northgeorgiastatefair.com/Vendor%20Info/Vendor%20Info.html or by phone at (770) 423-1330. I order some ride tickets and never recieved them. 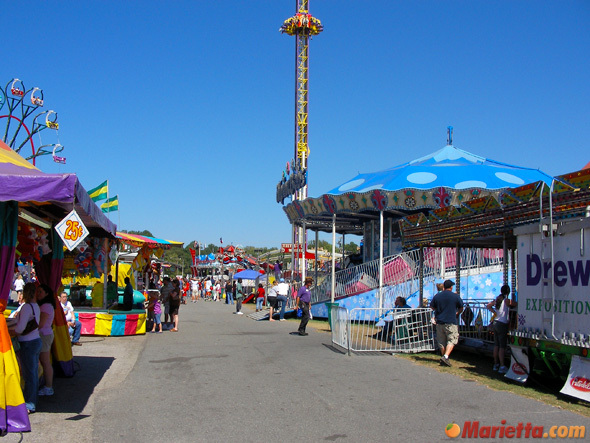 We are going to the fair next Saturday, Oct 2nd. Is there somewhere I can go to see where they might be? It would probably be best to check with the organization or website that sold you the tickets. 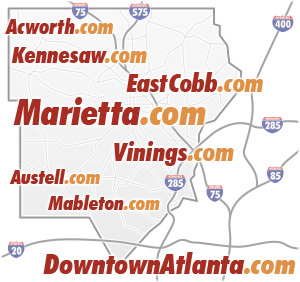 If that does not work, try calling the event organizers at (770) 423-1330. We have been when it was raining and when it was sunny, and you can definitely have fun either way. 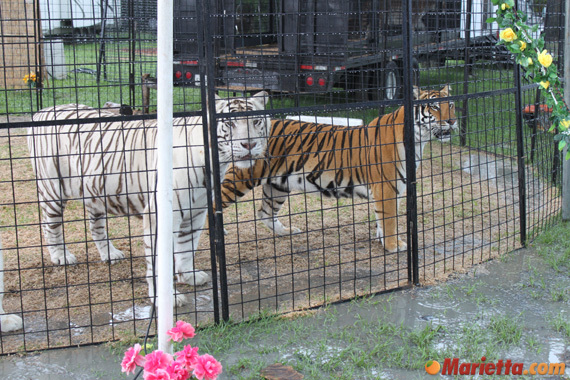 Some of the animal attractions are in covered areas, and some are outside. When it is raining, you will generally have cooler weather, shorter lines, and fewer people, however some of the attractions may be temporarily closed. can you get a 15$ stamp for free rides any day you would like? If we purchase unlimited rides before 3pm, are we able to come back (the same day) for no extra admission cost? Thanks in advance! Hello, I am a member of a student organization called LINK at KSU. We are focused on doing community service all over the world and we are planning our national service project for this year. For this we need to do fundraising. 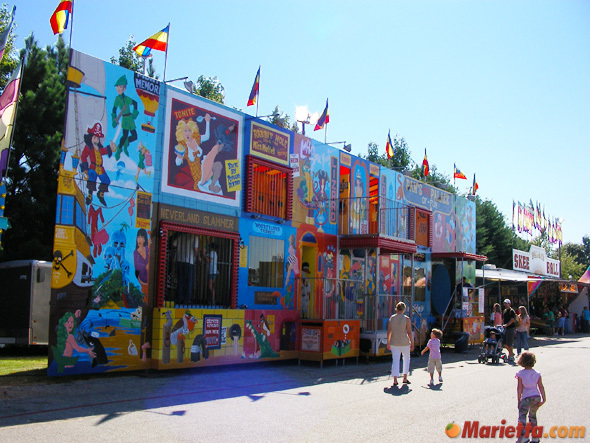 We were wondering if it was too late, and if not how much it would cost, to rent a booth at the Fair this year? Thankyou! 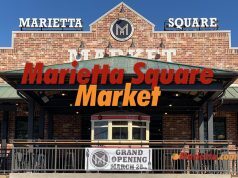 For booth information, please call (770) 423-1330. Regarding rides and attractions, will there be bumper cars? There were bumper cars last year i think they will bring them back bc the day we went it was a big hit. 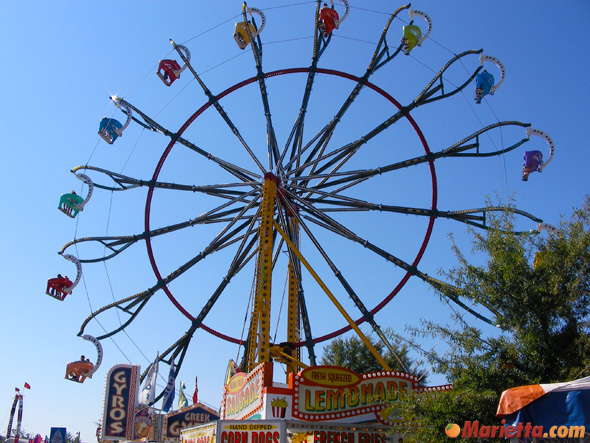 We r looking forward 2 eating funnel cake’s n dancing with The Band Perry at ya’ll’s fair. 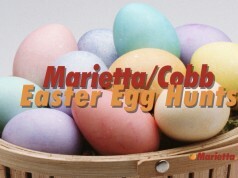 We will be traveling from Statham Ga just west of Athens. My question is will there be any additional charge’s 4 admission 2 see The Band Perry ? Thank You very much, Bill Pollard and Family……. Glad you will be there. All concerts are free with paid admission. Are you having the first hour free on Saturdays again? I’m trying to find the details for entering my baby in the Beautiful Baby contest and the link for additional information is not working, can you send me the details for entering please? Thank you much in advance! From the smallest princesses and handsome young princes, even the youngest of fairgoers are recognized at 6:30 p.m., Tuesday, Sept. 27, 2011. 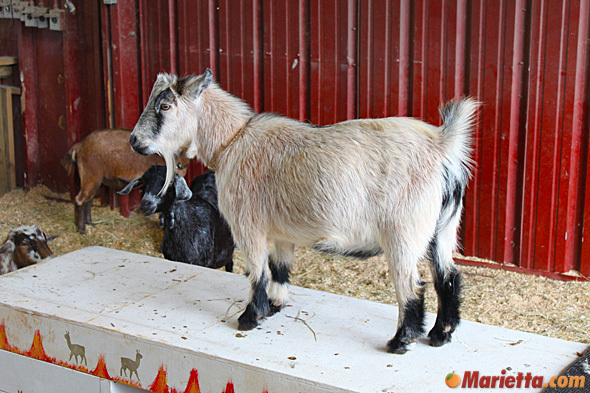 Each year the fair gives mothers and fathers the opportunity to show off their new additions to the family with the Beautiful Baby Contest, sponsored by Atlanta Parent Magazine. The judging is informal and the contestants may dress any way they want. Parents sign up your 0 to 36-month-old starting at 5:30 p.m. on the night of the contest. The competition will begin at 6:30 p.m. starting with 0-6 months and working up to 36 months in six-month increments. 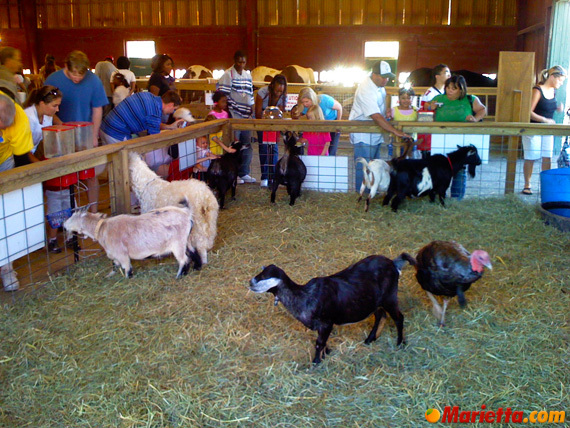 There is no cost to enter a child into the competition, but regular fair admission is required. Winners of each category will receive a plaque, and ribbons will be issued to 2nd and 3rd places. Be sure to bring your cameras you don’t want to miss the opportunity to photograph the future Mr. or Mrs. America. It says ride tickets are $1.00 each. How many tickets does it take for one ride? It depends on the ride, but when we were there we saw quite a few that took 3 tickets for a ride. I can honestly say I am very upset about the pageant last night for the babies. i know that they did not know what was going on but there was nothing.. no color nor coordination what so ever. this was the first year my daughter was in it and i was seriously disappointed. 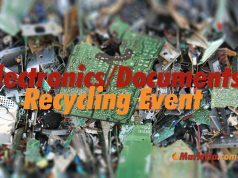 Does anybody know if there is a list of winners of the non-commercial exhibits posted online? will we need to bring our own seats? No, you do not need to bring seats but be sure to get there early if you are going to see The Band Perry tonight. How long will the Casey James concert last? Is it from 8:00 until close? When is the opening day for unlimited rides? D you have pigs and a dunking tank? My daughter wants to know. With the 1 free adult admission in exchange for 7 non perishable items on Saturday Sept 29, 2012, is that an all day special or would I have to come at a certain time? 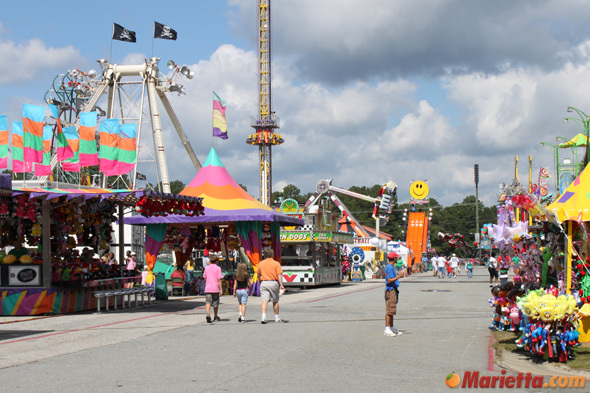 where does the north georgia state fair go when it leaves cobb county? 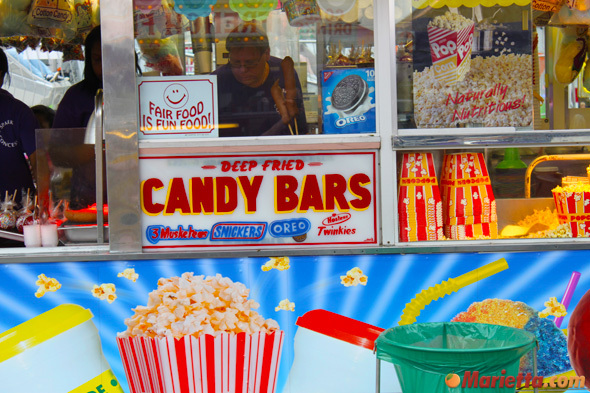 The fair is not one big company. 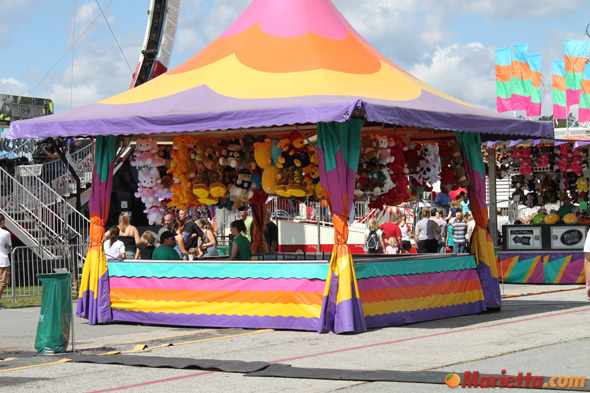 It is organized by the fair management and consists of the large carnival company (rides and games), individual vendors, paid entertainers and local competitive exhibitors, who all go their separate ways after it’s over. “It” does not just pick up and move somewhere else. 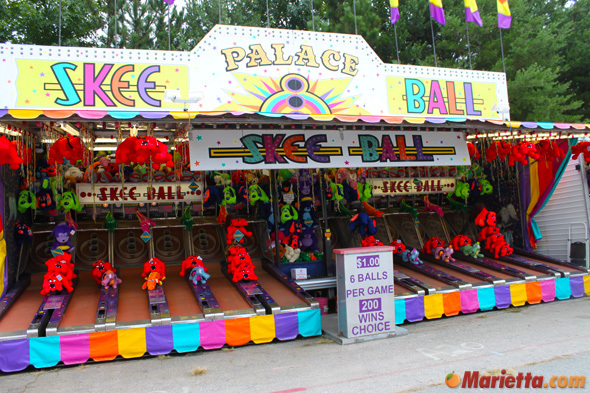 Fairs can be similar, but are individually unique. Directions to the fair after the MARTA train station, that is, which bus and which is the best connection MARTA point. Thank you. On Sunday,kids 12 and under,is that for the rides as well? or is that free admission? The weather says it is suppose to be storming all day today. Will the concerts and everything still go on? 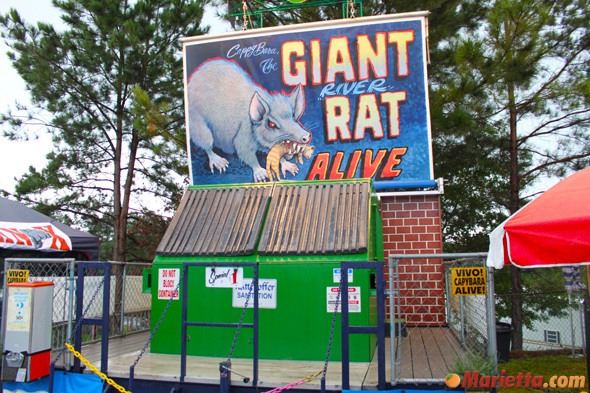 I am bringing about 18 kids to the fair, is there a group discount for ride tickets? Are there going to be wrist bracelets this year? how do you buy discounted tickets in advance? do you need to wear closed tow shoes to be able to ride all the ride? Can you enter in the morning and leave at some point, returning later for the concert at 8:00 pm Saturday, and not have to pay? Do they sell chicks at the fair in the small animal section? And if they do, do you think they will still be there by October 2 on the last day? Why dont they sell unlimited ride tickets today? Are dogs allowed on the fair grounds? Hey! What is the 2017 schedule? Thank you!